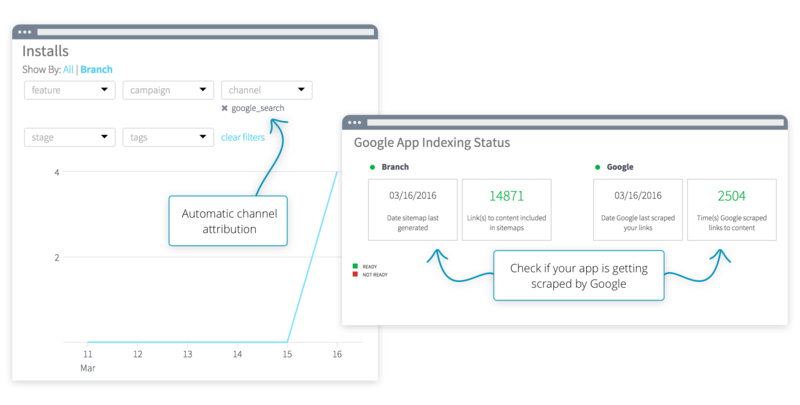 What is Firebase App Indexing? 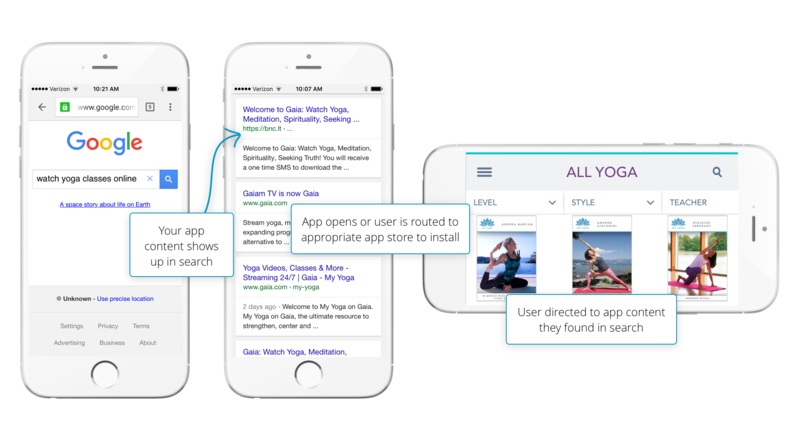 After being indexed, your app content will start to rank in Google’s search results so that new and existing users can discover your app and its content through search. Once you configure your links properly with the Branch Universal Object, one click will automatically create an app content sitemap for Google to scrape. How do I know that my app is indexed? We now show "google_search" as a traffic source for your app. In addition, we tell you when and how many of your links Google has scraped.